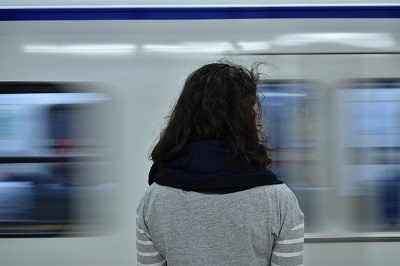 Women in Transport have announced that on 28 June, the Chair of the All-Party Parliamentary Group for Women in Transport, Ruth Cadbury MP, will host a reception to celebrate women in the sector and consider how we inspire the next generation during the Year of Engineering. Today is International Women's Day and this year’s theme is #PressforProgress. 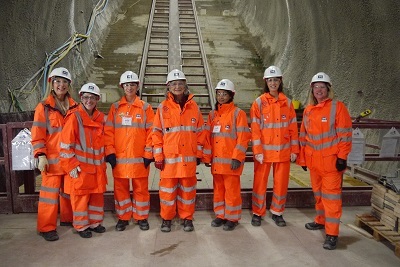 We're working with the CIPR Construction and Property Special Interest Group (CAPSIG) on a survey to understand the experiences and perspectives of women working as PRs in the construction / property industry. We're thrilled to be nominated for New Agency of the Year in the 2018 PR Moment Awards. 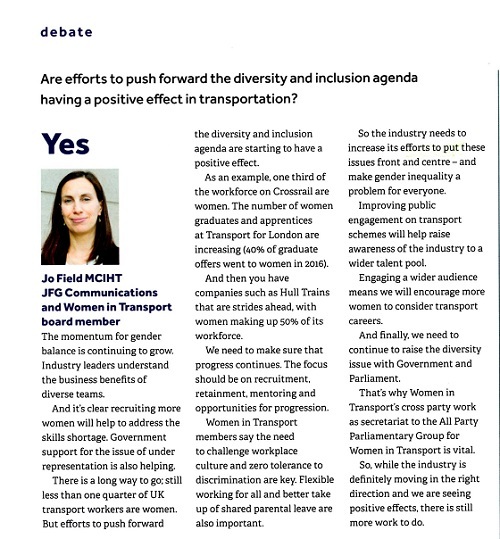 Our Managing Director, Jo Field, took part in a panel debate in the CIHT (Chartered Institution of Highways and Transportation) theatre at the Highways UK conference in Birmingham back in November. The session looked at the importance of people’s needs in driving infrastructure and services. As an industry, we’re increasingly becoming more customer focused. The projects we’re planning and delivering are being delivered for the customer. 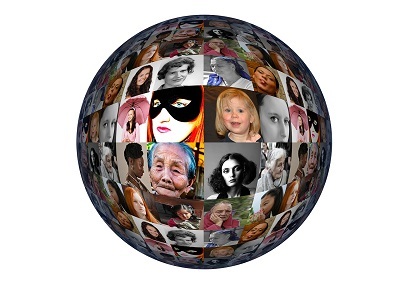 So, it's important we engage our stakeholders to make sure customers’ views are represented. 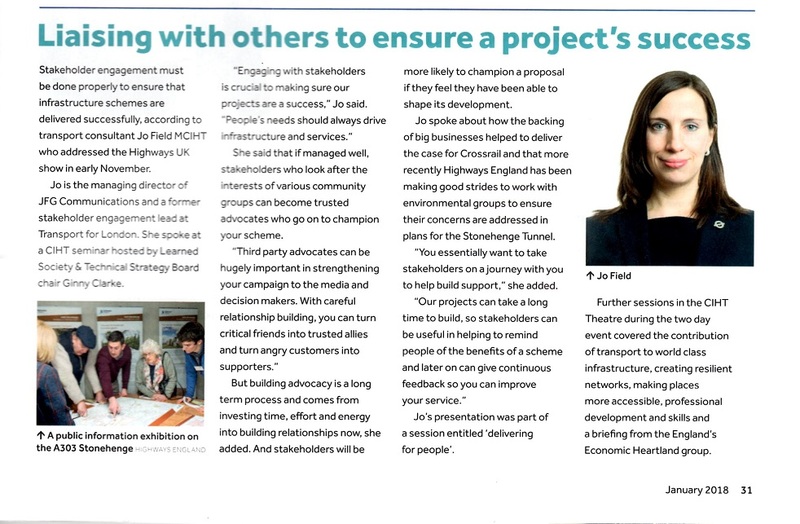 Jo's presentation is featured in 'liaising with others to ensure a project's success' in January's issue of Transportation Professional. 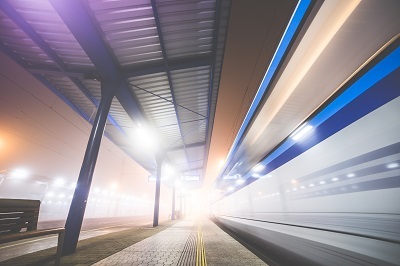 The transport industry contributes over £90bn annually to the UK economy. But with the fast-paced environment we live in today, and disruptive forces such as globalisation and technological innovation, it’s important for the industry to keep up. In fact, many reports warn the transport industry must undergo radical change to remain competitive. Our Managing Director, Jo Field, was recently asked to give her expert opinion on a think tank's research into the planning of major infrastructure projects. Policy announcements in recent weeks show transport and infrastructure are at the heart of the Government's priorities. This puts the sector in a great position to work with Ministers to deliver their strategic aims and shape the future. 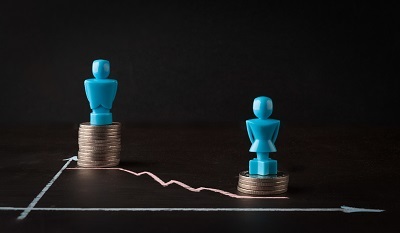 Today is Equal Pay Day - which means women work for free from now until the start of 2018. We're thrilled to be finalists in two categories at this year's Public Affairs awards. 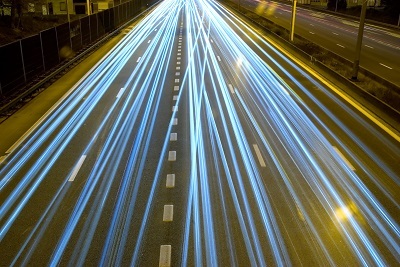 We're going to Highways UK on 8 November at the NEC in Birmingham.